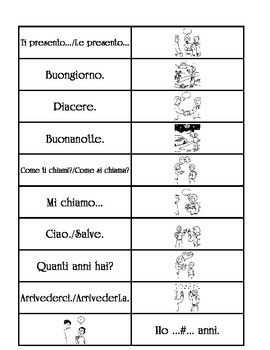 Do your students need to practice the introductory expressions in Italian? 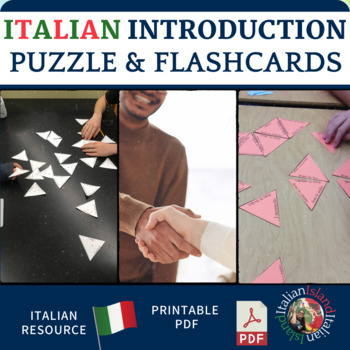 Use Italian Introductory Vocabulary Practice Puzzle and Flash Cards to allow your students to do just that. 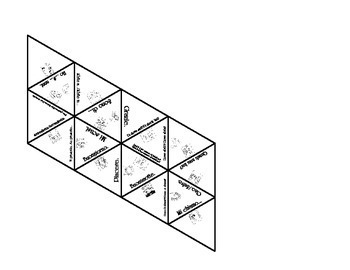 File includes 2 versions: Italian matched with English and Italian matched with images(Images are from http://www.teacherspayteachers.com/Store/Lonnie-Dai-Zovi) Each version includes a solution page, 2 pages of puzzle pieces that fit together to form a parallelogram and 2 pages of flash card pages. 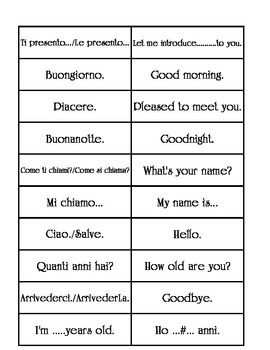 Vocabulary includes: asking and telling name, introducing, please, thank you, hello and goodbye, good morning and good night, asking and telling age, asking and telling where from, asking and telling where live, pardon, & asking for phone number.